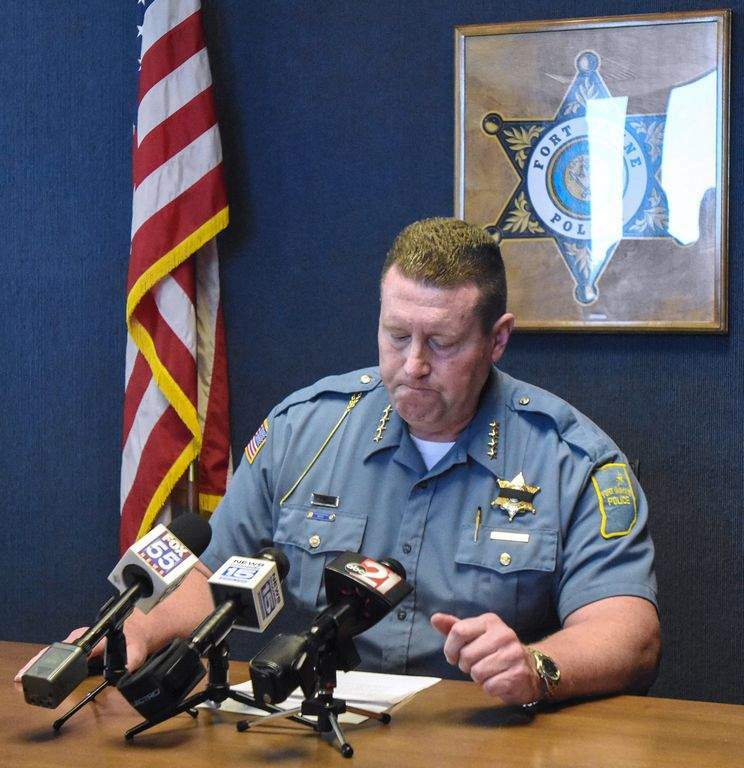 Michelle Davies | The Journal Gazette: Fort Wayne Police Chief Steve Reed pauses while addressing the media concerning the in-line-of-duty death of Officer David A. Tinsley, who died Monday night following a pursuit. 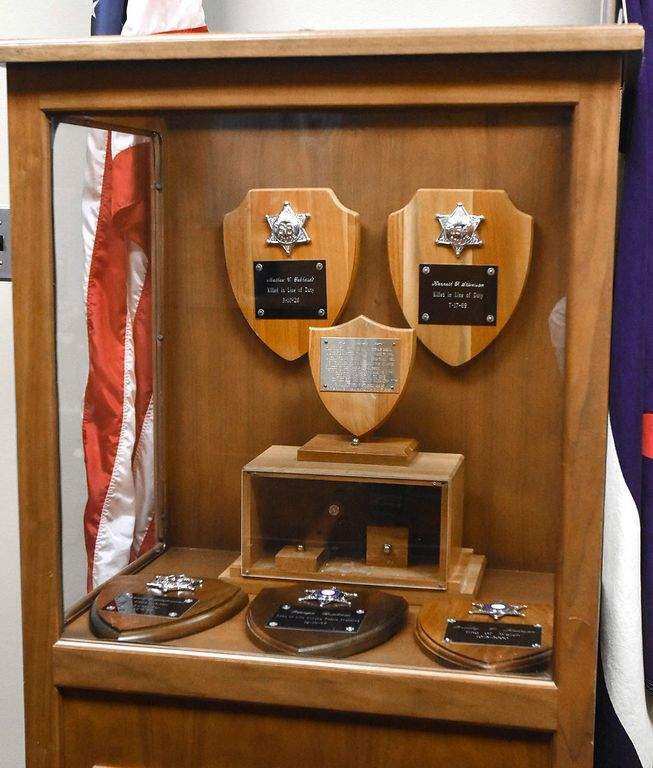 Michelle Davies | The Journal Gazette A memorial case outside the Fort Wayne Chief of Police's office that honors police officers who have died while in service to the city. Fort Wayne police have identified the officer who died following a pursuit Monday night. David A. Tinsley, a 16-year veteran with the police department, was chasing a suspect police believe was driving a stolen car, a statement from the department said. The pursuit began around 11:15 p.m. near Southcrest and Kent roads and ended at the Rivergreenway near Candlelite Apartments off of Fairfield Avenue just south of Paulding Road. 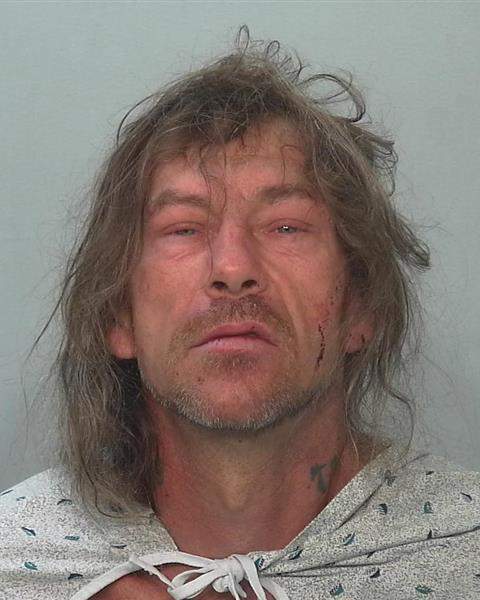 Tinsley and his officer-in-training chased the suspect, Patrick Anthony Faiers, 49, of Fort Wayne, along the Rivergreenway after Faiers crashed the car he was driving in a wooded area just off the greenway, where he was eventually caught. On the way back to his vehicle, Tinsley collapsed, a statement from police said. Officers performed resuscitation efforts until medics arrived. Tinsley was taken to a local hospital where he was pronounced dead. Already wearing a black band around his badge, an emotional Fort Wayne Police Chief Steve Reed on Tuesday called Tinsley a friend. "He served our department and the city with honor," Reed said at a late morning news conference in his office at the Rousseau Centre. "He was a good guy, always going above and beyond -- like last night. He will be missed greatly." Faiers was charged with being a habitual offender and resisting, both felonies. Fort Wayne police are asking for flags to be lowered to half-staff in honor of their fallen officer. "He was a cop's cop," Reed said of Tinsley. "Anytime you lose an officer, a friend, a coworker, it's hard."